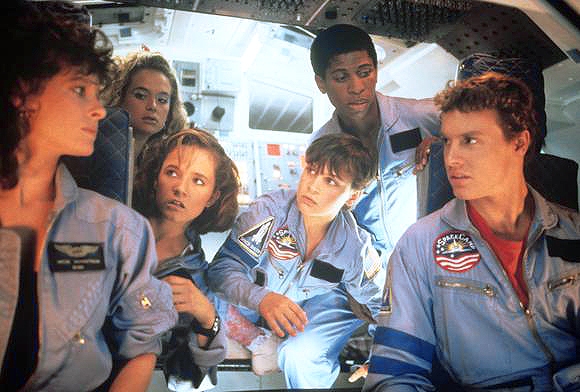 “SpaceCamp” stands out as one of the most ill-timed movie releases in history. Opening to empty theaters on June 6, 1986 in the wake of the Challenger tragedy, it was filled with good intentions. The movie almost plays like a public relations piece, desperate to inject an Apollo-like romanticism into a shuttle program that never did generate even a fraction of the wide-spread enthusiasm once held for the Mercury, Gemini, and Apollo programs. Despite the presence of the always electrifying Kate Capshaw and a shuttle full of talented young actors, (including Tate Donavan, Lea Thompson, and Kelly Preston), the movie plays like a mediocre ABC After School Special, (and was actually produced by ABC Films). The film vanished from theaters in a week and has rarely been seen since. It seems almost inconceivable today that such a minor movie such as this would be lucky enough to get John Williams for a composer. But not only did the producers mange to snag the maestro, they got him during a major William’s drought. This was the composer’s only film score during the period of 1985-86. One of the casualties of the film flopping so badly was the lack of a widely released commercial soundtrack. I remember running to record stores (they still existed at that time) desperately trying to find the John Williams music. But there was none to be had for reasons I am still not clear about. So along with the movie, William’s score disappeared, never to be heard again for over two decades save for an impossible to find Japanese 1000 CD limited edition printing. Thankfully, in 2010 Intrada Records came to the rescue with a beautifully engineered, pristine edition containing nearly fifty minutes of this masterful score. 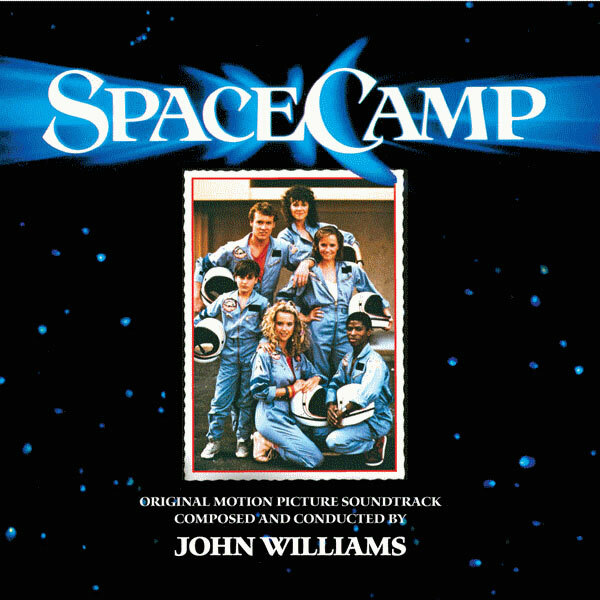 To put it simply, “SpaceCamp” is another masterpiece from John Williams. There is no filler music on this soundtrack. Always the impeccable craftsman, John Williams makes every note count. He does more than compose great music. He tells us a story. And he always entertains us. Here, he even gives us a super cool 80s style pop arrangement of the wonderful main theme in track 2, "Training Montage". Track 6, “In Orbit”, is an emotional powerhouse that will bring tears to anyone’s eyes who has a beating pulse. This is John Williams at his most moving and spiritual. Bottom line: “SpaceCamp” is a pure joy. This is vintage John Williams at the peak of his post “E.T.” 80s blockbuster style and an absolute must own for anyone who appreciates great music packed with colorful adventure and soaring emotion.